DeLena Ciamacco: The Real Estate Expert: NEW LISTING IN UTICA! BEAUTIFUL FARM HOUSE! Nestled onto ~22 wooded acres & pastures(subject to final parcel split). The home features hand-hewn beams, cedar siding, original cherry & walnut floors, 3 fireplaces. First Floor Owner’s Suite. Spacious Living Room opens to the Dining Room & Kitchen. The upstairs features two large Bedrooms with En-suites & walk-in closets. The foundation is original limestone blocks, ~4x2x2 feet, laid in 1854. New standing-seam metal roof ~2014. New HVAC system ~2010 with free gas from well on property. Back-up wood-burning furnace and more. New water heater ~2016. 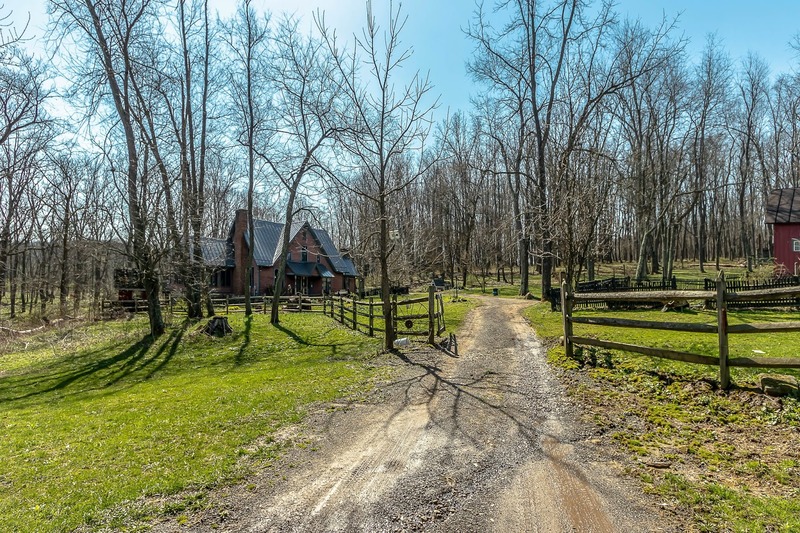 Property features maple & oak trees, Horse Barn with hay loft, Sheep Shed, 3 fenced Pastures, and artesian spring. 3 BRs & 3 Baths. Over 2,800 SF! North Fork schools. Only $529,900! Call DeLena today!